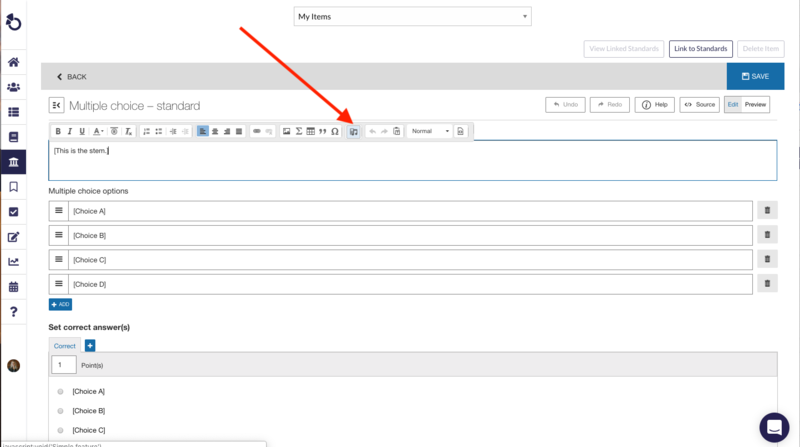 You can add a video to all Otus Assessment types. The article below goes through each type and how to do it. To add a video to a Simple Assessment, just click the video icon in the question creation popup as shown in the image below. 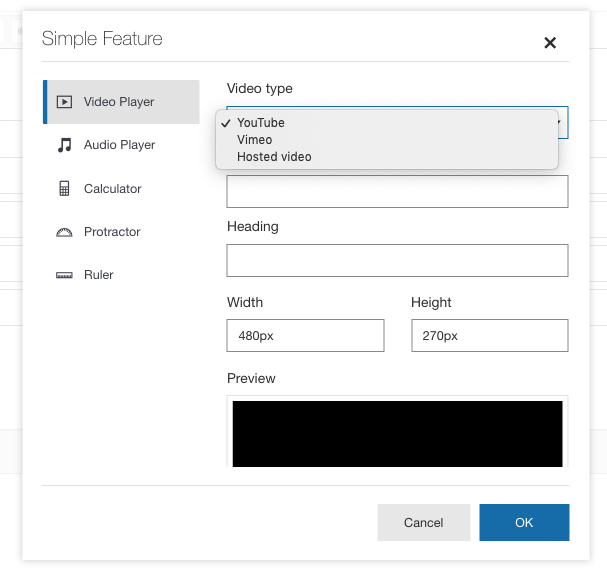 You have the option to record a video directly from your computer, or attach a file that is saved to your computer. You can also a YouTube video by clicking on the attachment button to the right. To add a video to an Item in an Advanced Assessment, you can choose the Simple Feature that is available in any question type. 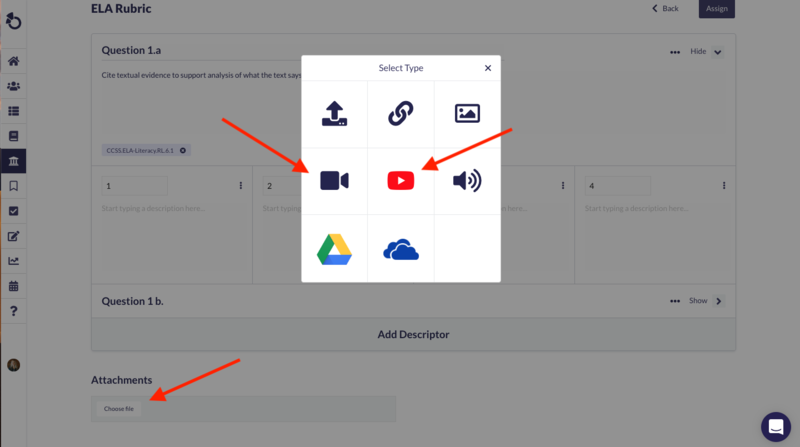 You can also add a video that is separate from a question (this is a good option when you are having students use the video to answer multiple questions) by adding the video as a feature to your Item. You can add a video attachment to a Rubric assessment by selecting Choose File under Attachments at the bottom of the rubric.